A Transient from the world of Yggdrasil and member of the Otemachi Genociders. In addition to his flaming Sword Sacred Artifact which can burn the safeguards of worlds to ash, he also wears a black Helmet Sacred Artifact which etches fear into his target. In memory of his perished children, he will never remove the helm. Any who express their flame-like existence are beloved as his children. Transient originating from the other world Yggdrasil. Part of the Ootemachi Genociders. In addition to the flame sword Sacred Artifact that burns away the world's protection, he has a black helm Sacred Artifact that carves terror into others that he is always wearing. He will never take it off because that is how he shows his feelings for all the children who have been destoryed. He loves anyone who exemplifies the ideal form of fire as his own child. He was once the king of the burning land known as Mulspelheim, which possesses a great number of giant soldiers. He himself is not a type of "shade cut away from the world" called a Shadow. However, his Artifact has the power to cross the river of time and preserve the feelings of Shadows. That is why he descends to the battlefield with his crimson essence covered by dark flame armor. Surtr gets on terribly with a certain king of the sea who denies destruction and has set his eyes upon his shining treasure of a helmet. But originally that helmet was supposed to go through that sea king's treasure vault, cross twists and turns, and be given to a dragon mage. But he has no reason to know that. "A sweet dessert, for his children's nutritional needs. Out of love for his children, Surtr puts on the uniform for a different type of battlefield. An oddly fitting look for Surtr, it is common within the guild to see him in an apron. This war, however, is Valentine's Day. The flames of his enthusiasm are hot enough to burn sugar. Despite the pressure of an unprecedented battle, the layers of the cake slowly come to completion. 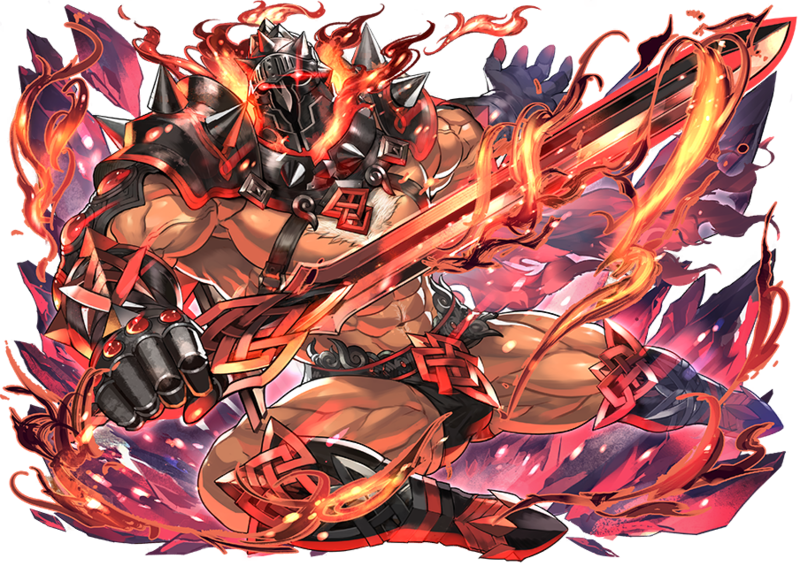 However, through many trials and errors with his children of flame, Surtr's body begins to heat up. Chocolate and cream begin to melt, and yet he thinks only of the growth of his children. Lord of a System which sacrifices those of the previous era to the next generation, he became the representative of Yggdrasil above the other lords of Valhalla as he is the best match for the System, which will fulfil itself in this war in Tokyo." Sweet confections then, if that will become the flesh and blood of the children. Surtr heads for a new battlefield in a new wardrobe as he thinks of his children every day. His strangely accustomed apron-wearing appearance was a familiar sight within his guild. Thus comes the battlefield of Valentine's. His war cries and inspirited flames are hot enough to burn pastries. Even compelled as he is by this unprecedentedly hard battle, the cake pedestal is gradually being completed. Every time he repeated the trials with the children of flame, his body carried on more heat. 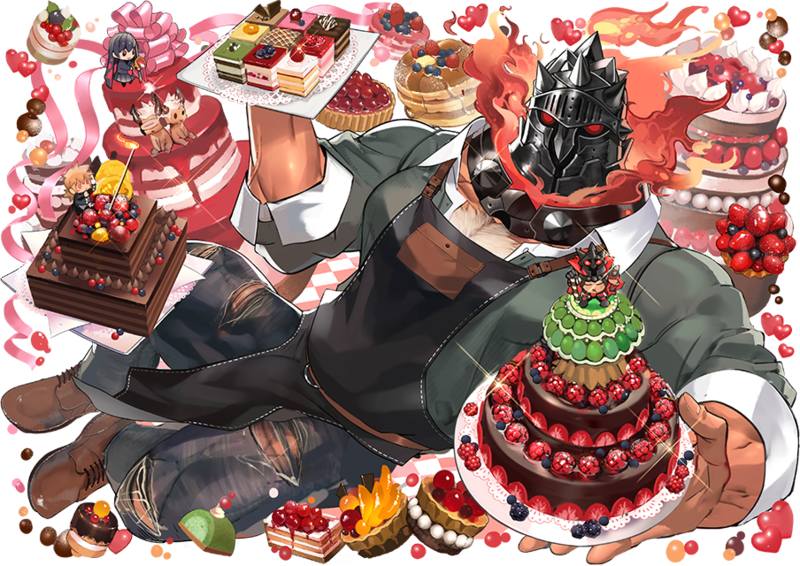 Even as the chocolate melts and the cream flows, Surtr thinks of the beloved children he raised. He is the Mechanism King who will sacrifice everyone who lived in the same era as he did to make way for the next. As for the current revolution, he has disregarded the master of the castle in the sky Valhalla and their people and has become the Representative of Yggdrasil. That is for the sake of the one who was once suited for the way Mechanism should be in the battle in Tokyo to be carried out. 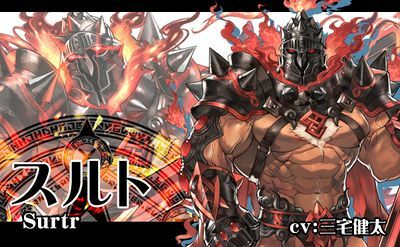 The giant of black flames Surtr has come. If it is for the sake of saving each and every person, I am humbly prepared to scorch this world to the ground. Let us burn this land, if only for the children's sake. Gather the armies for the twilight. Reverse, Backfiring Sealed Kindling! That which is the branch of ruin, become that which burns away the world's protection! Nnu...are you saying...that I did this? My head...hurts like it will split...gwaaahhh! The passion I am entrusting to you is even hotter than the graphite that burns my soul. Even hotter. Fragrant flames are the herald of the start of sweet festivals. As your father I shall wield the flames as my heart wills for the sake of my children. Now, feast. May this father's love passionately melt your heart. Fiercely coveting as you desire is fine. Is this your rebellious phase!? The black smoke has sweetly seeped into the flesh and blood of my children...how lovely. Everything about you is dear to me. If my black smoke is chaotic yearning I, Surtr, still have much to learn as a father. 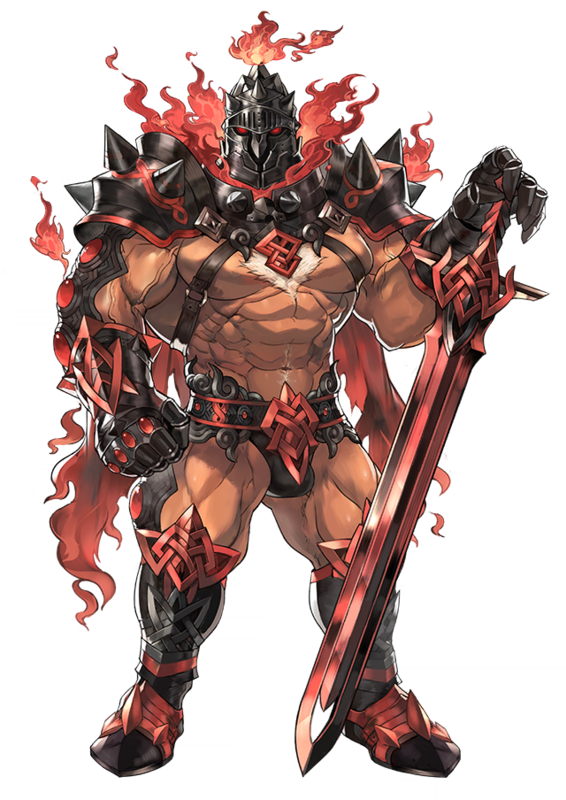 I have done all Surtr fans a great favor this day by naming his LB3 'Dad'. I'd dive head first into his chest. And he is a virgin. My first 5 star pull! I’m gonna love him and treat him right. He just wants his son to use his power. For anyone wondering, his LB2 is Indomitable One. His LB3 is a new skill (I think) that bestows protection and heals self and 1 square around him at a 45% rate after moving. Also adds berserk to self after damage with 8% rate. Oh lordy, he can stab me with his sword anytime! This page was last edited on 24 March 2019, at 04:33.